A team of engineers from the UK has used mathematical modelling techniques to identify bridge designs they say could beat the current record of 2 km for a single span. A long-span bridge that stretches 14 km from the Iberian Peninsula across the Strait of Gibraltar to Morocco? Maybe not so far fetched, thanks to engineers and researchers in the UK looking into optimal forms for long-span bridges. A team of engineers from consulting firm COWI, the University of Sheffield and Brunel University London said they have identified bridge concepts that require “the minimum possible volume of material” to create longer bridge spans. To create these forms, the team drew on a theory developed by famed British engineer Davies Gilbert. In the early 19th century, Gilbert used mathematical theory to propose new optimal shapes for cables that followed a ‘catenary of equal stress’. 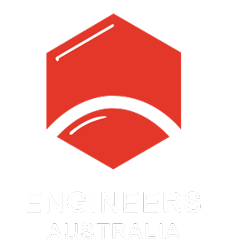 This theory was combined with modern mathematical optimisation models to create bridge designs with fewer material requirements and thus potentially longer spans. The new designs are unique, with multiple ‘spokes’ like a bicycle wheel in place of a single tower. This would be impractical to build at large scale, so the researchers replaced them with split pylons comprising just two or three spokes, which they said retains most of the benefit of the optimal designs while being easier to construct. 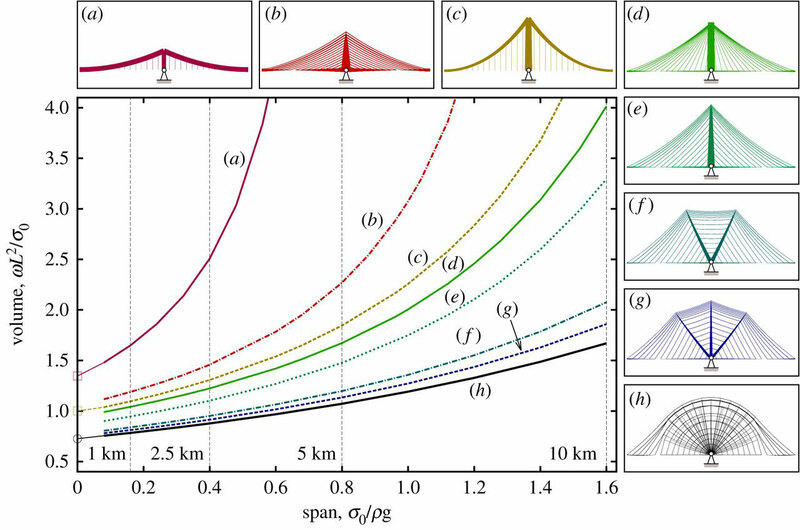 This research, published in the Proceedings of the Royal Society, helps address a Catch-22 of bridge designs: a relatively small increase in span requires more material, leading to a heavier structure that then requires yet more material to support it. As bridge spans become longer, a larger portion of the structure is needed just to carry the bridge’s own weight. It also sets a limit on how long a bridge span can be. The world record for a single bridge span is currently 2 km, but a span of at least 5 km would be necessary to bridge a body of water like the Strait of Gibraltar. 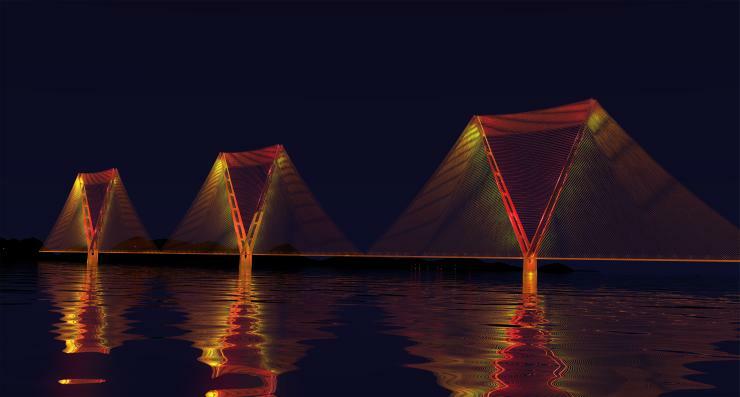 For a 5 km span, a traditional suspension bridge design would require far more material, making it at least 73 per cent heavier than the optimal design, said the researchers. “The suspension bridge has been around for hundreds of years, and while we’ve been able to build longer spans through incremental improvements, we’ve never stopped to look to see if it’s actually the best form to use,” said research lead and University of Sheffield civil engineering professor Matthew Gilbert. In contrast, their proposed two- and three-spoke designs would be just 12 and 6 per cent heavier, respectively, making them more economical to build. This research is just the first step, as additional tests and modelling needs to happen before people traverse waterways across mega bridge spans. For example, this research only accounts for gravity loads and not dynamic forces from traffic or winds. It also doesn’t take into account ongoing construction and maintenance issues. However, Ian Firth, COWI engineer and study co-author, said he’s hopeful this opens the door for newer and more innovative bridge shapes. “This is an interesting development in the search for greater material efficiency in the design of super-long span bridges,” he said. The current title holder for longest bridge over water is the 38.4 km long Lake Pontchartrain Causeway in the US. And China hosts the world’s longest sea bridge, the Jiaozhou Bay Bridge, which stretches 26.7 km – enough to span the English Channel. Australia’s longest bridge is the Bolte Bridge in Melbourne’s Docklands area. The twin cantilever bridge spans 5 km across parts of the Yarra River and Victoria Harbour, and connects the Tullamarine Freeway with the West Gate Freeway. New South Wales’ Macleay River Bridge measures in at number two, spanning 3.2 km over the Macleay River and its floodplain near Frederickton, NSW. However, the longest stretch of overwater bridge in Australia is the 2.7 km long Ted Smout Memorial Bridge in Brisbane, which opened in 2010. The bridge crosses Bramble Bay and Pine River, and because of its location is the one of the few bridges in the country designed specifically to withstand cyclones, storm surges and floods.